The SNP talk a good game on social justice. But after nine years in government, it's time for radical action. Nicola Sturgeon, first minister of Scotland. By Kenneth Halley. Truth of course is rather different. Scotland is both different and not that different, in comparison to the rest of the UK. Our social democracy isn’t immune from the dynamics that have weakened it elsewhere, and should not be confused with the electoral strength of the SNP – just as before it shouldn’t be equated with the once-dominance of the Scottish Labour Party. This month, BBC Scotland ran a series called ‘Unequal Scotland’. In places it was good and more substantive and serious than most of BBC Scotland’s recent output. It itemised the scandalous state of much of the country in terms of education, health, income, wealth and land. It pictured a country where little real progress has been made on reducing inequalities or widening opportunities since the advent of the Scottish Parliament – coming up for nearly two decades ago. Many of these dynamics – the 24 year health gap between rich and poor, the educational apartheid, that the 10% wealthiest households have 44% of the nation’s wealth while the poorest 10% of households have a mere 9%, the grotesque patterns of private land ownership – have built up over decades (and in the latter over centuries) and take time to change. But they cannot all be blamed on Westminster, while the Scottish Government is allowed to take no responsibility. At the end of last week Angela Constance, Scottish Communities minister, was interviewed on ‘Good Morning Scotland’ and ‘Reporting Scotland’ in response to the series. She spoke the language of good intentions, eager to show how she wanted to do things. But overall what came over was the caution and timidity, and sadly, the hollowness of much of what she said. SNP proposals were thus presented as ‘bold and radical’ – such as the ‘Fairer Scotland Action Plan’ and minor changes to the council tax. Two days later on the ‘Sunday Politics Scotland’ BBC programme Scottish Transport Minister Humza Yousaf had to explain the shambles of the ScotRail franchise award to Abellio. Yousaf, once seen as an SNP high-flyer and potential future leader, struggled to find a coherent line under scrutiny or suggest any substantive plan. Indeed, he even refused to indicate his support for nationalising the railways; something Corbyn’s Labour are now committed to. Two examples. What they indicate is the SNP are beginning to struggle to find a language to explain the Scotland they govern and are responsible for. It has taken nine and a half years for this situation to slowly emerge, and I predict that we will see more of this, and that this is the future face of Scottish politics. Over the course of this near-decade, the SNP have been given a blank cheque by a large part of society. This is with the qualification that part of the country’s press – the ‘Daily Mail’, ‘Daily Telegraph’ and ‘Daily Express’ – have waged constant war on the Nats. This however has been part of the overall dynamic, because it has allowed SNP loyalists to say that we cannot engage in any proper debate or criticism, because our enemies are at the gates. One area where the SNP has been most trusted has been social justice. The appeal of Yes and the left have been seen as synonymous by the likes of Tommy Sheppard and Jeane Freeman. Yet, this is a mixture of aspiration and default: the latter assuming that the Yes argument trumps the No one in the indyref and since, given the conspicuous problems of the UK and absence of social justice. Writing and researching my new book ‘Scotland the Bold’ I asked more than 80 people from all walks of life for policy suggestions for a more equal, fairer country. From a variety of informed and passionate suggestions I developed a top list of 64 to include in the book. What was very striking was the tone of the contributions, for running through many of them was a mild but discernable disappointment with the SNP in office. This shouldn’t come as a surprise to anyone: a sense of disappointment after nine and a half years in office. This period has been marked by three distinct periods. 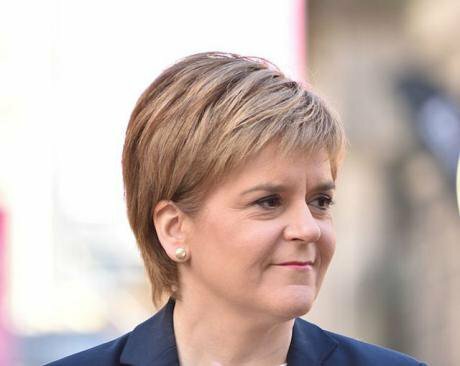 First, the SNP won its first national election and minority government, followed by majority government and the high drama of the indyref, and finally, the wide appeal and reach (beyond just SNP supporters) of Nicola Sturgeon. All of these periods have kept the momentum going, combined with major ineptness from opposition parties. But the laws of political gravity are never anywhere suspended forever. The SNP has changed the face of Scotland and Scottish politics. But somehow the party, which by its efforts and opposition incompetence has got itself into a period of dominance and superiority, has to learn a different kind of politics – one less imperial and condescending and much more interested in detail and results. The limits of the SNP in office are now becoming more clear. Apart from Nicola Sturgeon and John Swinney the talent in government isn’t that deep or impressive. A generation of ministers such as Angela Constance, Humza Yousaf and Derek Mackay have only known the SNP on the rise as elected politicians, and are likely to struggle to adapt to a world of more scrutiny and turbulence. There is even a wider, longer story about the shortcomings of the Scottish Parliament and experience of devolution. By next year Holyrood will have been in existence for eighteen years: eight years of Labour (with the Lib Dems) and ten years of the SNP in office. That’s a respectable enough period to be able to make an assessment. Over that period, no real substantive change has taken place on social justice which has addressed poverty and inequality and improved the lives of those most disadvantaged in our country. Neither Labour or the SNP in substantial periods in office have done anything much to redistribute income or wealth. Instead, both have been informed by the conceit that they embody ‘social justice’: an attitude which built up problems for Labour, and will again for the SNP. Whatever their differences on the constitution, Scottish Labour and SNP have always been more similar than they like to pretend. They have both represented and given voice to an insider, managerial, technocratic vision of Scotland, while wrapping it with a social democratic sentiment. Neither has shown any desire to shake up this state of affairs and to give voice to outsiders or those who don’t fit into professional, institutional Scotland. The assumptions of insider Scotland are that their good intentions, eagerness to launch initiatives, alongside their opposition to Westminster imposed neo-liberalism and austerity, is enough. And that somehow all this adds up, almost as an article of faith, to making progress towards a fairer, more equal, and better Scotland, even if its final destination is a little hazy and light on detail. Nearly all of Scotland’s political parties, professions and interest groups buy into this. For many in mainstream Scotland – such as the political commentator Iain Macwhirter writing in this weekend’s ‘Sunday Herald’ – the fact, he observed, that ‘the political parties in Scotland are all pretty much on the same political page’ is cause for celebration. Much of the above is to be applauded. Scotland has chosen not to go down the route of the Brexit vandals and market determinists who have caused such mayhem turning large parts of English society upside down. But while we can rejoice at this, does this state really mean we close our eyes to our own inadequacies and pretend that everything is fine? Are we really content to portray our timid, defensive social democracy as being up to the challenges of our age? Do we really want to tell ourselves selective and comforting stories that are clearly at variance with the truth? When, for example, was the last time, any serious Scottish politician showed the slightest interest or support for economic equality? Maybe around about 1975 and Gordon Brown’s ‘The Red Paper’ would be an answer. There are many things to be proud of in Scotland in recent decades, but it doesn’t help us to invoke a dreamland and land of care, compassion and equality, which clearly does not exist. Who, we have to ask, gains from this? The true believers of the SNP and independence for one, but also the numerous elites and vested interest groups, from the corporates, to land owners, and public sector, who only see rhetoric and micro-initiatives, but little proposed substantive change. This status quo Scotland has been the way that things have been done for years in this land. But change is coming, aided by public spending pressures, demographics, and the decline of deference. Yes, we should pride ourselves on the smaller appeal of Brexit Euroscepticism, xenophobia or Trump like populism, but the mild mannered, unadventurous spirit of first, Labour, and now the SNP, doesn’t capture the spirit of our times. Overlaid on top of this is what Andrew Tickell has rightly called in ‘The Times’ a sort of ‘zombie politics’ of the kind present in the indyref and still in existence – particularly in SNP-Tory competition – which is all about positioning and partisanship and little else. The SNP are caught continually trying to prove their respectability and not frighten the horses, in order, they say to create the conditions to win a second indyref. But in actual fact, this timorous social democracy is their true character, as it was of Labour. It is time to stop talking about a politics of ‘the left’ or any genuine, radical social democracy. Instead, this is a centrist politics of at best, the near-left, with more in common with Hillary Clinton and Francois Hollande than we would like to imagine, minus the scandals and scale. Politicians such as Clinton and Hollande have bent and compromised to the winds of globalisation and today’s world, and ended up standing for very little other than the dominant order. We are kidding ourselves if we think our politicians are really that different and removed from such concerns. We are it seems different, but not that different, and we need to ask ourselves if this is who we are happy to be. Being honest about this state of affairs would be a start. Do we really want to be Scotland the Bold or are we content to kid ourselves and continue to be Scotland the Timid?